Training & Tactics for a Healthy & Happy Life! Nothing will come of Nothing! June 6, 2018 Dr Rob. The Tragedy of the Dietary Guidelines. 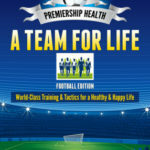 In three previous blogs I have compared some of the modern chronic diseases with three footballing tragedies of the 1980’s. Type 2 diabetes with Hillsborough. (See Here). Heart Disease with the Bradford Fire. (See Here). Cancer, with the Heysel Stadium disaster. (See Here). However, in order to reflect on the true tragedy of the current dietary guidelines, allow me to take a brief step away from footballing matters and invoke the genius of William Shakespeare. King Lear has always been my favourite Shakespearean play – it illuminates on the folly and wisdom of an ageing man, and as I get older and begin my own, hopefully slow, descent into cognitive decline, the central themes of the play; blindness and madness, become increasingly relevant. Children plot against their parents, the elderly are abused, siblings fight and murder each other, and one by one, the ethical, moral and familial bonds in society get broken down, until finally, the King loses his sense of self and goes completely mad. Why then do the current dietary guidelines for both obesity and diabetes remind me of such a tragic state of affairs? Because, it is one in which many of the values that we think are protecting our health, are actually making it worse: Whole grains, fruit, polyunsaturated vegetable oils and low fat foods. All supposedly good for us, but when the thin veneer of nutritional observational epidemiology is disturbed and the stark reality of individual experience is focused upon, a different story unfolds. A story which I fear is having similar tragic consequences, one in which appearance does not equate with reality. In Lear, we encounter a King who foolishly divides up his kingdom according to the love each of his three daughters declares for him. The oldest two, Goneril and Regan, flatter to deceive with their extravagant declarations of love, whilst the youngest, Cordelia, refuses to take part in this affection contest, believing actions, and true feelings, speak louder than words. Unfortunately, the King does not recognise this deception and fails to see who loves him the most, banishing Cordelia from his Kingdom and dividing his estate between the other two. However, once his power and wealth are handed over, Goneril and Regan begin to mistreat their father and turn him out into the wilderness and so begins his decline into madness. Goneril and Regan are the personification of hypocrisy, promising loyalty and caring, whilst at the same time, undermining the King’s power and robbing him of his wealth. Their love is, but, a means to an end. Perhaps, we might look to cast Big Pharma and the Food industry, in the roles of Goneril and Regan, in this dramatic production of today’s “diabesity” tragedy. These two villainous protagonists seek to increase their wealth at the expense of the ruler of the Kingdom (You) and then attempt to lay the blame on the individual for their lack of will power or laziness, when things go wrong. The message is loud and clear, reduce the amount you eat and exercise more, if you want to be healthy. And if you don’t do this, it’s your fault, but, in the meantime you can take this drug to help with the symptoms and eat these foods to make it worse. And yet, if there is one piece of advice that sets you up for long term failure and abject misery, it has to be; “eat less and move more,” because human nature (and hormones) dictate that is exactly what you need to do to make yourself hungry and produce an appetite out of control. The whole world over, dietary guidelines and chronic disease management are effectively being governed by the food industry and her older sibling, Big Pharma. They make enticing promises that we may live longer, feel better, and reduce suffering. They bombard us with flattering words, and at the same time pervade our subconscious with advertising, until finally we succumb to their persuasive powers. And yet, we remain blinded to their true motives, which are not to love and care for us in our old age, but to ensure their own needs for profit and growth are sustained, at our expense. So, we end up with chronic diseases like; diabetes, heart disease, dementia, and increasingly cancer, being treated as lifelong conditions, managed with lifelong medications and dietary advice, with little thought given to prevention or the root cause of the problems themselves. Is it the drug companies or food industry or perhaps, it is the beloved daughter we have banished from our lands? Cordelia, Lear’s youngest daughter, has been said by many Shakespearean aficionados to represent nature, and it is often when we fail to see the effects our actions and decisions have on our environment, both internal and external, that things start to go wrong. Throughout the play, blindness is used to reflect the bad decisions many of the characters make. In Lear’s case, his eyes and mind are only open to seeing things that are on the surface, which are both artificial and cursory, so he is portrayed as being mentally and emotionally blind. In medicine, the blindness is equally as superficial, by only treating the symptoms and failing to recognise the ulterior motives of drug companies and the food industry (profits) we have somehow stumbled onto the heath in a raging storm, blinded by guidelines and verging on the edge of madness, and unless we start seeing very soon, almost certain terminal decline. Lear, made his choice/decision based upon the quality of love his daughters professed towards him. As doctors, we make choices and give advice based on the quality of the evidence put in front of us. Evidence based medicine has become our King, but where has that left us? He demonstrated that practically nothing of the research linking foods to medical conditions are in fact correct. Non of us should make the same fatal mistake as Lear and forget to question and ask where all this evidence has come from and it’s true intent. Because, when the majority of medical education and research is essentially financed by privatised companies in one guise or another, we risk devolving our own powers to a deceptive deity. Just as the tragedy in King Lear was one of deception and blindness, the tragedy of the dietary guidelines, is equally treacherous and murky, and as a result we have been blinded to the direction it is taking us and fooled by the ulterior motives of its protagonists. Whilst most of our resources are directed towards the problems of illness and symptomatic relief, we have lost sight of what makes us healthy as individuals in the first place. So, another blindness inflicted upon the medical profession has been not seeing and treating the root cause of type 2 diabetes. Which is not simply a matter of laziness or gluttony, because you can be both and not be diabetic. No, the root cause is; insulin resistance and beta cell dysfunction, largely due to a diet high in carbohydrates. The mechanism is very simple, you wear out the insulin producing cells (beta cells) with a high carb diet and you fill up the metabolic organs – liver, pancreas and adipose tissue, with all this excess fuel (carbs and fats), which then gets converted to fatty acids and stored. Until you reach the point of saturation and suffocation, and an explosive environment, full of resistance and inflammation is produced. That’s when the damage occurs. Now, forgive me if I am being a little too simplistic here, for I am just a fool, but I was always taught that when you lose your way, the best plan of action to get back home again, is to retrace your steps in the opposite direction. Instead, the nothingness of the dietary guidelines instruct us to continue, albeit more slowly, along the same precarious path, blindfolded by medications, so we can no longer see where we are going wrong. Alas, this concept of blindly following the trusted route, has tragically resulted in more people suffering with chronic diseases, like type 2 diabetes, until we have now reached epidemic levels, with over 50% of the adult population either pre-diabetic or type 2. When we place our trust in guidelines without questioning their underlying motives we risk an abdication in responsibility and a reduction in our own cognitive powers, to the detriment of our health. Because, when the advice is to eat more of the foods that contributed to the problem in the first place (starchy carbs) by over working the beta cells in the pancreas and contributing to insulin resistance, and at the same time avoid foods that might actually help (saturated fats because they do not increase insulin), then the suffering of our patients doesn’t go away, it just intensifies, until the physical body can take no more. And, by making the problem worse and the need for medication greater, who actually benefits, it’s not the King (You) and the medical profession, but, as in the play, it is the two avaricious sisters. The blindness of King Lear should teach us all to seek the truth before making irrational decisions which might not be relevant or appropriate to our very own dramatic production in life. After all, we are all unique individuals and it is bestowed upon us to find our own path in life. What works for one person may not work for another, because we each have different strengths and weaknesses, different philosophies and different settings (environment) in which to perform. So, if you find that eating according to the current guidelines is not helping you to act better, then you may need to rewrite the script and find one that does work for you. If after eating a slice of fruitcake you find your blood sugars going nuts. If after devouring a plate of crackers the glucose levels border on insane. If after munching on a banana your bm’s go crazy, then perhaps it’s time to start questioning the wisdom of the dietary advice you have been given. Because, when we foolishly dismiss ketogenic or LCHF diets as fads and wrongly send low carb into exile for not being “balanced” enough – who really is the fruit and nutcase? The human species has evolved and thrived on a low carb diet for millennia, long before Kellogg’s cornflakes or Quaker Oats came along, after all, it is only relatively recently that grains and cereals have been cultivated for food. By submitting ourselves to the guideline gods, we give up our power to conduct our own N=1 (citizen scientist) experiments, and lose sight of the “true” forces of nature within everyone us. We do nothing, say nothing, we blindly accept the advice of experts, experts of what though? “expose thyself to feel what they feel”? Do they know how you like to operate, your strengths and weaknesses, are they directing your play or are you? As physicians, let us not make this same fatal mistake. If we just blindly pursue the guidelines which the two sisters have essentially financed and heavily influenced, then we will never have our eyes opened to other possibilities. And will fail to notice the evidence that is staring us right in the face. There are thousands of people who have successfully reversed their type 2 diabetes using diet not drugs, each one has followed their own dietary path. For many it has been LCHF or nutritional ketosis, others a more drastic reduction in calories approach, but I can guarantee you the vast majority have not done it by trying to adhere to the balanced diet diatribe that gets spouted out by many dieticians. As far as I can see, the purpose of the guidelines are not to cure, but to make sure people endure their condition for as long as possible, because, that is what serves the food industry and Big Pharma the most and maximises profits. They want to keep you going for as long as possible, needing as many drugs as possible, until the day you die. Clearly, they will not tell you this in public, but, in private, if they are acting on purpose (i.e bigger profits for shareholders) then that will be what they want and that is indeed what we are seeing. Millions of people worldwide taking more and more medications to control largely preventable chronic diseases. Has the whole world gone mad, have we all become lazy, gluttonous fools? Can nobody see the destructive storm descending upon healthcare right now? “Blow, winds, and crack your cheeks! rage! blow! And warns that if Man goes against nature then he risks unnatural consequences. Until finally, Lear’s downfall is complete, and his blindness robs him of all his judgment and his foolish decisions leave him with nothing, indeed as a “slave” he is nothing. “Rumble thy bellyful! Spit, fire! Spout, rain! Nor rain, wind, thunder, fire are my daughters. I tax not you, you elements, with unkindness. Do not always take things at face value and attempt to seek further knowledge. 2. If it seems too good to be true, then it most likely is. 3. Do not allow yourself to be blinded by rhetoric or ignorance. Ironically, as Lear begins to show signs of insanity, for the first time in the play he also starts making logical statements regarding his daughters’ lack of respect and betrayal. And so, out of his insanity, a logic slowly begins to unfold! I similarly hope and pray some sort of logic can be gleamed from the madness of the current dietary guidelines, as we finally begin to see their futility and underlying deceit. Why is the obesity and diabetes epidemic getting worse when we are trying to follow the guidelines? Why am I having to take more and more medication to control my diabetic symptoms? Why has no one told me I can reverse my type 2 diabetes with lifestyle interventions? Why do the guidelines do nothing to address the root cause of the problem? He simply wants Lear to realise that what he has done by banishing Cordelia is wrong and that his two daughters, Goneril and Regan, are deceiving him. He stands to make no gain from this declaration, there is no ulterior motive, only a love and caring for his King and Humanity. What do they stand to gain and what do the sisters stand to lose? Are they doing it for monetary gain or out of compassion and caring for their patients? Because, it is data, not dogma that will ultimately prevail. But, this data must be independent, in so much as it’s main purpose should be to improve health not wealth and the best data any of us will ever get, will come from our own experiences and experiments. Not from one size fits all guidelines which offer nothing to address the root causes of the problems. Do not be fooled, big pharma and big food are not on your side – their purpose, first and foremost is to make profits for themselves, not to provide you with cures or inexpensive healthy lifestyle interventions. And, the longer they can perpetuate this fallacy, the bigger their kingdom becomes.. He is the king’s advocate, honest and caring and uses irony and humour to point out Lear’s many faults and follies. I hope I am equally as good an advocate for my own patients, because my purpose as a doctor is not to follow a prescriptive path that actively seeks out tragic events for its own gains, but to prevent the tragedies occurring in the first place and if they do occur, attempt to calm the storm by natural measures, not just control it with unnatural medication. I will let you be judge of that. Towards the end of the play, Lear begins to realise that there was “nothing” behind his daughters professions of love for him and that he himself has been left with “nothing”, nothing but suffering and heartbreak that is. Whereas, the two sisters end up with everything, until their untimely death into nothingness. Except when that nothingness results from; greed, deceit and an absence of feeling for humanity. And so the play concludes with a scene of empty maladie, the King is dead, along with all his kith and kin and what may we surmise from this awful tragedy? 1. Dietary guidelines do practically nothing because they don’t address the root cause of chronic diseases. 2. The individual does nothing – (leaves it to medical profession) so nothing changes. 3. The medical profession and governing bodies say nothing, because they are afraid to lose finances. 4. The drug companies and food companies care for nothing (but money). The love of Cordelia, is far better than the violent harms inflicted by her two sisters, and so is the adoption of natural lifestyle interventions over processed foods and drugs. After all, maybe I’m foolish, maybe I’m blind,..but I’m only Human – so don’t put the blame on me! ← The Big Bad Wolf! The Boys from the Blackstuff! Jimmy carter on End of Season Health Report! Jimmy carter on Arsenal – Fat Boys of the Premier League!